Having two children close in age (with birthdays eight days apart) has its pluses and minuses. The first two weeks of October are birthday central around here, and while it's nice to have all the celebrating happen at once, my oven is about as tired as I am. 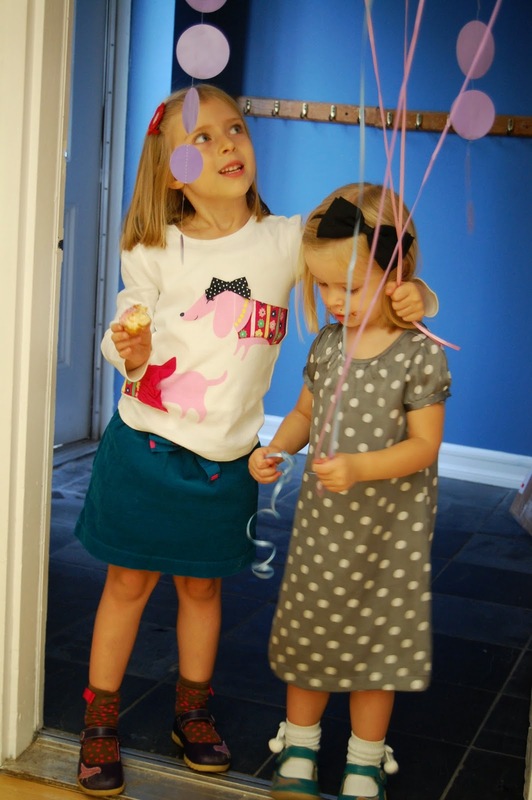 Turning 3 and 5 this year, I definitely hyped the joint birthday party idea to Millie and Vivian. Luckily, they were duped easily convinced. I am curious at how many years I'll be able to get away with this, though... I was talking to someone the other day who revealed he hated sharing his birthday with his little brother while they were growing up, so I'll definitely keep that in mind as the years go by. How do you feel about the combo birthday party? Luckily, the girls settled on a fairy theme pretty quickly, as it's all about fairies and magic at our house (we're still holding on to a dying plant that Millie is convinced is a beanstalk that's going to grow out our window). I worked with the amazing Chasing Fireflies, who sent me some adorable supplies from their Flower Fairies collection to compliment the party. I love this collection, which lends more towards woodland creature than Disney Tinkerbell (sorry Tink). One look and you can tell that the quality is a touch above... the cups/plates/napkins are super sturdy and strong, and we came home and hung up the garland in the girls room (such a fun memory from the party). They're still playing with the fairy centerpiece, too. Disclaimer: Chasing Fireflies provided me with product for the purposes of this review. All opinions expressed herein are my own.